Expecting the unexpected has always been a good way to go about experiencing Throwing Muses' music. But if there's a constant to the beloved band and its leader Kristin Hersh, it's that she follows her own, well, muse, as she explains in an interview with PopMatters. Expecting the unexpected has always been a good way to go about experiencing Throwing Muses' music. The band has always been defined by a visceral, dramatic sound where you never know what's just around the corner, be it a sublime riff or Kristin Hersh's hair-standing-on-end vocals giving you a jolt. 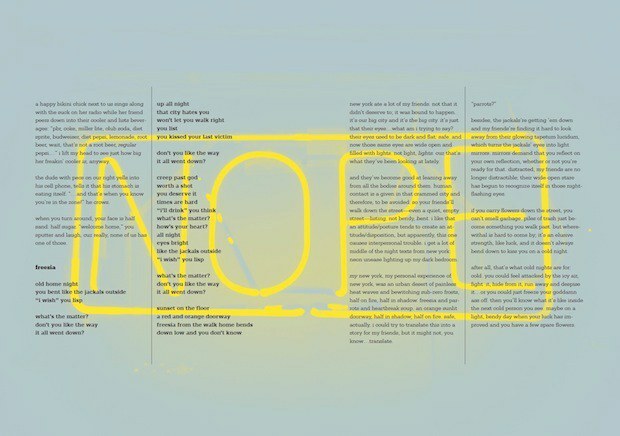 Nor have Throwing Muses ever stayed in one place from album to album, constantly stretching their palette of moods, tones, and styles even as they've maintained an inimitable ethos that has distinguished their music for over three decades now. Career-wise, the group -- which includes founding members Hersh and drummer Dave Narcizo, along with long-time bassist Bernard Georges -- has taken its fair share of twists and turns, from being a buzz band as the first American act signed to 4AD in the '80s to alt-rock die-hards who never got their full due in the salad days of the '90s to proto-Kickstarter populists in the new millennium. If anything, Hersh and company have always stayed ahead of their times, trailblazers who've maybe never been appreciated as they should have been mostly because they've left everyone playing catch-up to 'em. 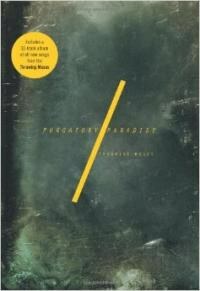 So it should come as no surprise that more than 30 years in and 10 years after their last original effort, Throwing Muses still stay ahead of the curve with their latest release, Purgatory/Paradise (It Books), an ambitious 32-track album that's combined with an art book designed by Narcizo. As PopMatters' Matthew Fiander wrote of Purgatory/Paradise, "Leave it to the ever-challenging, ever-changing Throwing Muses to take ten years off and then hit us with this, a multimedia piece that couples a book of lyrics, prose, and photographs with the band’s most unruly, wide-open record to date." Indeed, if there's been a constant to Hersh and her work with Throwing Muses, it's that she's always listened to her, well, muse, following instincts that aren't so much counterintuitive as they are decidedly individual, whether as an adventurous artist or an enterprising innovator as a co-founder of the pioneering crowdsourcing platform CASH Music. With the release of Purgatory/Paradise, PopMatters checked in with Kristin Hersh via email to find out more about how the project came about, how to approach the total package, and why she thinks the future of music is its past. Can you describe what the inspiration for the Purgatory/Paradise is, whether it came from your collective brainstorming, something other artists have done before, or some combination? We don't have (or seek) the ability to boss music around. We can't brainstorm -- we can't think of anything to say! -- and, for better or for worse, we seem unable to be inspired by anything other than our songs. These songs were written over the last decade and organized themselves into what is essentially a shattered paragraph. Each song works as a sentence in that paragraph, of course, but this time, the "sentences" needed to wind in and out of each other, appearing as a bridge here, an instrumental there, a backing vocal, etc. Do you have any suggestions or instructions on how to approach Purgatory/Paradise? It seems that the book and the album can each be experienced on its own, but what did you have in mind in combining the two media and the different cognitive processes involved in absorbing them -- listening, reading, and looking? Up to the listener, I guess. When you stare at the chunk of granite that's gonna be your sculpture, you have to have the balls to take a chisel to it and chisel we did -- we started with 75 songs. We're very good at editing because we're shy losers; if we had had any more time, we would have erased the whole record. But leaving holes is important. Rather than fill in the holes, we decided to complete the picture: essentially, images and stories that present a keyhole view of our goofy world. Tiny island plus planet Earth is probably how everyone lives, but it is literally how we have spent the last 25 years or so. In the preface, you and your long-time compatriot Dave Narcizo -- who designed the book -- describe the music as "fractured", with short interludes and repeated themes winding their way through the 32 tracks. And yet, I had the experience of feeling that Purgatory/Paradise needed to be heard all at once, with all the different fractured and shattered bits coming together as a whole. What was the process behind the making of the album and its sequencing? Was it completely stream-of-consciousness or was there a blueprint that you worked with? Sequencing was difficult, because we had to serve the songs' need to be in pieces, but the record couldn't sound like it was just repeating itself. And flow is of paramount importance when it comes to complementary vs. contrasting production approaches. Thematic elements played a key role, as we recognized colors and textures that served each other, song to song, in a more wave-like feel. So essentially, it wasn't like sequencing at all, more like mosaic. Music has nothing to do with the music business, never has. Those who succeed in the business rarely succeed in music. It would just be a shame if those who sought a quality soundtrack to their lives were unable to find one, so we persevere in our attempts to record and release the stuff we know we could just play for each other and the sky. It has been ten years since your last album, so I was wondering why Throwing Muses came back together at this time. As a follow-up question, if you look into your crystal ball, what do you think Throwing Muses will be doing 10 years from now? We've been playing, writing, recording and even touring for the last ten years (we also released an anthology) and Purgatory/Paradise took five years to come to fruition. The difference is how "out loud" you decide to be, or are able to be, given the circumstances surrounding a release. I still maintain that REAL music is played in bedrooms, attics, basements, and garages, at parties, in churches, on sidewalks and in grimy old clubs. Supporting our substance by passing the hat or working a day job is the honorable thing to do, as well as being the past and the future of music.